There is a new program available to primary care physicians in assisting patients with their mental health care needs. WBFO's senior reporter Eileen Buckley says it is helping patients manage their behavioral health, substance abuse and other mental illness diagnoses. WBFO's senior reporter Eileen Buckley says it is helping patients manage their behavioral health, substance abuse and other mental illness diagnosis’s. "We want to save lives. We like to think of ourselves as the front line. We want people to feel comfortable talking about their diagnosis,” said Katie Budzinski, director of nursing at Team Care as Directed known as TCD. Medical. TCD is an Amherst-based program that is now allowing some doctors to assist their patients’ in managing their mental health. Dr. David Pawloski, Highgate Medical Group & Dan Budzinski is CEO of TCD. "Coming to terms with even saying the world - I have bipolar disorder, I have schizophrenia - that's a difficult task in itself, and then what?” explains Budzinski. Primary care physicians find they don’t have enough time to spend with patients in helping them with their mental health, yet rates of behavioral and mental illness continue climbing. "If something is uncovered, it gives you someone to hand this off to. You don’t have to try to figure out – okay I should see this specialist, that psychiatrist,” remarked Dr. Vernice Bates, president of DENT Neurological. Bates saw the challenges for primary care doctors and founded TCD Medical. “Part of the problem with this is one; there’s so much of it and two; there really isn’t the wherewithal to treat them, so the number of psychiatrists, behavioral health specialists of whatever type, there’s just isn’t enough. That’s part of the problem, but even when they see a psychiatrist or they see the appropriate behavioral health specialist, there’s issues with integration,” Bates explained. “How do you do all that and do it at the highest level? That’s what we do,” stated Dan Budzinski is CEO of TCD. Budzinski notes a broken health care system is not supportive for mental illness. It often falls through the cracks. But this program allows for patients to be followed up from start to finish for mental and behavioral health. “If you leave here and you go see a psychiatrist – you’re probably three to six months out from seeing somebody – and then there’s a lot of just pieces hanging there that are so important to people – that’s what we do every day,” responded Budzinski. “PCP’s - primary care physicians, like ourselves – we’re burden. We have what’s called value-based reimbursement, we have Chronic Disease Management, so we have so many things to do,” Dr. David Pawloski declared. Dr. Pawloski is with Highgate Medical Group. He stepped in to speak with us his from his busy Amherst office. Highgate has worked to spearhead the TCD program. 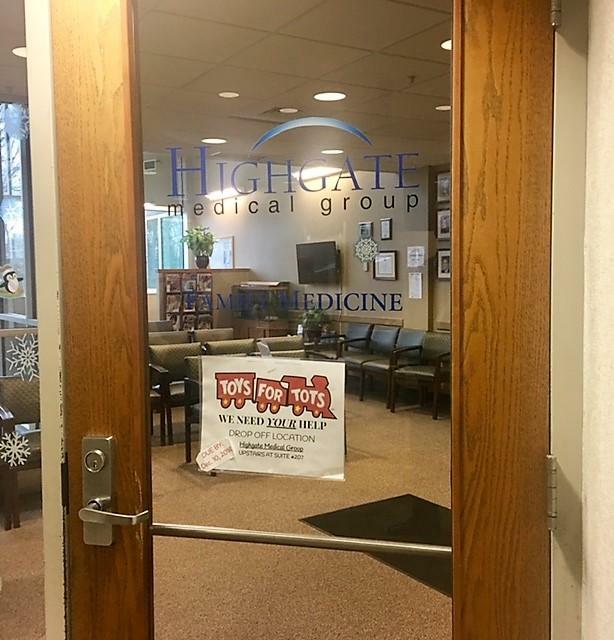 Outside the office of Highgate Medical Group in Amherst, NY. The office participates with TCD Medical. “Patients have really welcomed the fact that they finally have outreach, because really the key seems to be that we can have embedded people here in our office – behavioral health experts identify the problems, screen for them properly, then when I see them again in six months, the beauty is I have a frequent touch points – I have frequent interactions via telephonic outreach from my colleagues at TCD, if needed then, we have linkage to the appropriate resources in the community. I can do all this virtually,” Pawlowski remarked. “We still keep them in the loop on everything that’s going on with the patient, but we do take the heavy lift off of their shoulders,” replied Martha Concannon, director of human services at TCD Medical. Concannon has been observing how the program is lifting the burden for patients and managing their own mental health needs. “Honestly, what I see – it’s almost like they can breathe – when they know that they have support. Knowing that somebody is there, just that they can call and sometimes that’s all that somebody needs is a third party that they can confide in and see if there’s another route that can be taken,” Concannon described. To put it into perspective just how prevalent mental illness is becoming, 300-million people across the world suffer from depression. But Dr. Pawlowski said this collaboration is working for patients. “It’s been fantastic. The satisfaction of patients, the patient improvement – we look for deliverable of things we can manage and track over time – we’re going to improve outcomes – compliance with medications,” Pawlowski said. “I’m strictly embedded into the practices, so I see the patients face-to-face actually everyday” responded Ashley Wolff, behavioral health care specialist at TCD. Martha Concannon, Katie Budzinski & Ashley Wolff, all with TCD Medical. Wolff works directly with the patients. “I see a lot of counseling services being needed. They don’t know where to turn next, but there are other services out there that you know the provider might not even be aware of,” noted Wolff. One study indicated that only five-percent of people get screened for mental health, yet the Center for Disease Control (CDC) indicates a 30-percent increase of suicides in New York State and Erie County, so this TCD Medical program can be literally life-saving for patients. “There’s a lot that tug on my heartstrings, every day,” Wolff reflected. WBFO’s senior reporter Eileen Buckley talked to one expert about why there is more anxiety, depression and holiday blues this time of year as the nation faces a mental health crisis. Some area high school students from the cities of Buffalo and Niagara Falls participated in a small focus group in our WNED/WBFO studio. This student focus group is part of our Corporation for Public Broadcasting Education Innovation Planning grant. WBFO's senior reporter Eileen Buckley says students described mental health challenges. WBFO's senior reporter Eileen Buckley says students described mental health challenges. It was a project three years in the making, but the ribbon has been cut to open at a new state-of-the-art residential facility for young people dealing with behavioral health issues. Those attending the Tuesday ceremony to dedicate the new Baker Victory Services building in Lackawanna say it creates an atmosphere of hope which, in turn, increases the chances for positive outcomes.